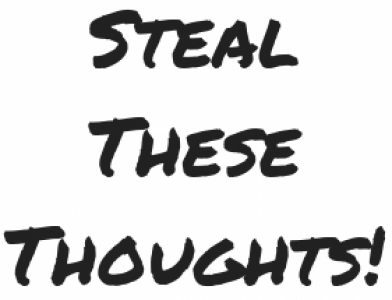 business – Steal These Thoughts! This week I explore how we can tell amazing stories across any event, what’s hot in the world of L&D right now and my favourite podcast of the week on building healthy habit changes. This week I explore how L&D influences the full talent lifecycle beyond capability, why we must face our demons to evolve and not being concerned about what others think with Gary Vee. Thoughts, musings and insights on the L&D industry today! This is a somewhat random and impromptu short thought post that I’ve decided to share as I felt it would be good to hear what’s on the minds of people across the L&D/HR industry. That is the question I’m getting asked more often since I’ve been growing my platform and building lots of content on a semi-regular basis. A job is an occupation, a career is something built through the love of passion. Those building a career know the why, they are fuelled by the reasons they do what they do. Those in a job know only the what, only the what must I do to keep this job and my “safety net” in life. A career is a lifelong journey of exploration, the what if, the I could and the this would be amazing to try. It can be an arduous journey full of challenges no doubt and these will shape you, make and even at times break you. Yet it is the building of a career that can define you, allow you to share with the world what you’re truly capable of, to understand maybe that this is what you were meant to do. A job is a job, it’s an occupation that pays the bills, keeps the food on the table, it’s a steady approach to the modern way of living. A job is like a ship permanently in the harbour and ships were not made to stay in a harbour. Careers are full of opportunities, full of ways to better and challenge oneself. Careers are an opportunity to do something, be something and leave something bigger than yourself. They are joy, sadness, excitement, passion, failure and success all rolled up into one. Jobs are like a bus, they come and go but rarely do they deviate from the”planned route”. A career can be a labour of love, you’re building something that brings you purpose and hopefully joy. It’s a route for you to be of service to others and embrace all the opportunities life can bring if you’re willing to accept the challenge of course. But a job or a career are just work you say, I’m not so sure my friend. That’s what it’s all about really, the work, or is it? Those who have jobs do the work with no questions, those who have careers are creating the changes to make our world that little bit better. Do you ever think about what you’ll say when it’s all said and done? I had a job and it was ok, it paid the bills and filled the days or did you do something more? For those who chose the career, they built, they fought, they were lost at times but they built something that was true to themselves. It was hard, yet it was fun. A job or a career? The choice is yours, but the real difference between a job and a career? Maybe it’s about leading a life worth living or living a life. For more sporadic daily thoughts like this, please subscribe to my weekly newsletter where I share insights, experiences and research on learning, personal development and managing the monkey mind.